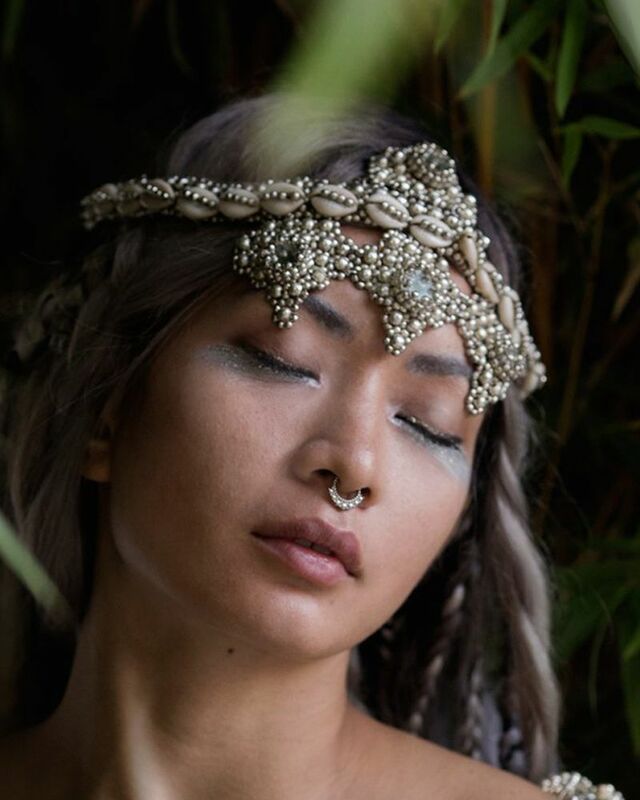 Elohim is a beautiful and versatile, stainless steel beaded and shelled headpiece. 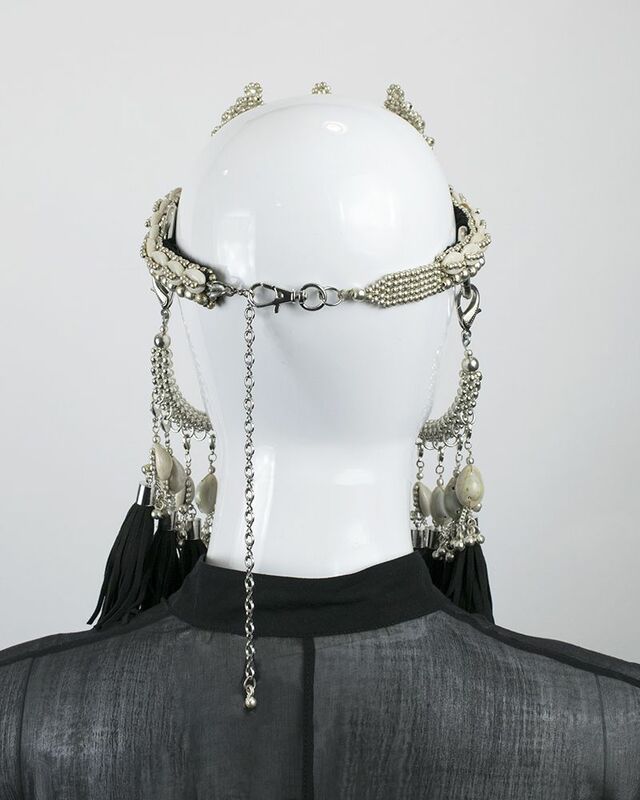 Like all of our headpiece systems, this headpiece system is modular. 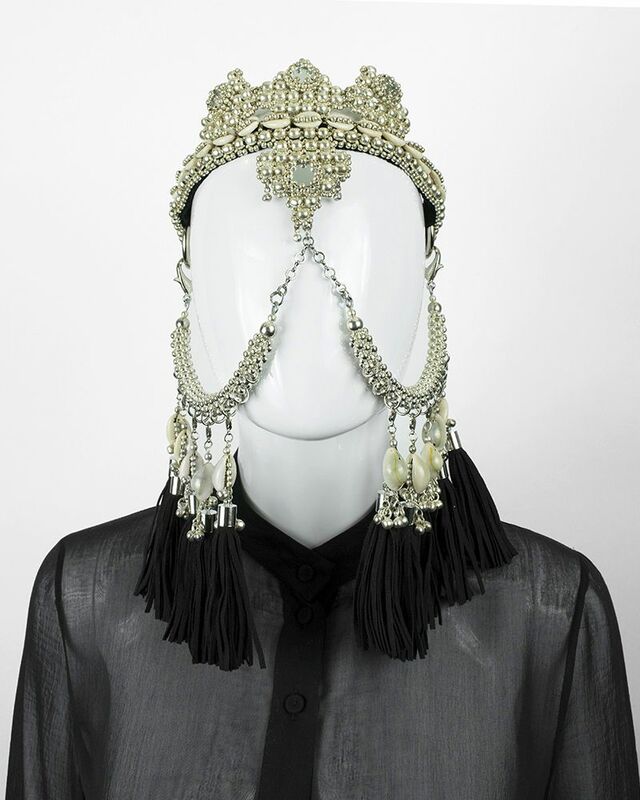 It can be worn three different ways: * As a solo crown. * The crown can be worn upside down for a different look. 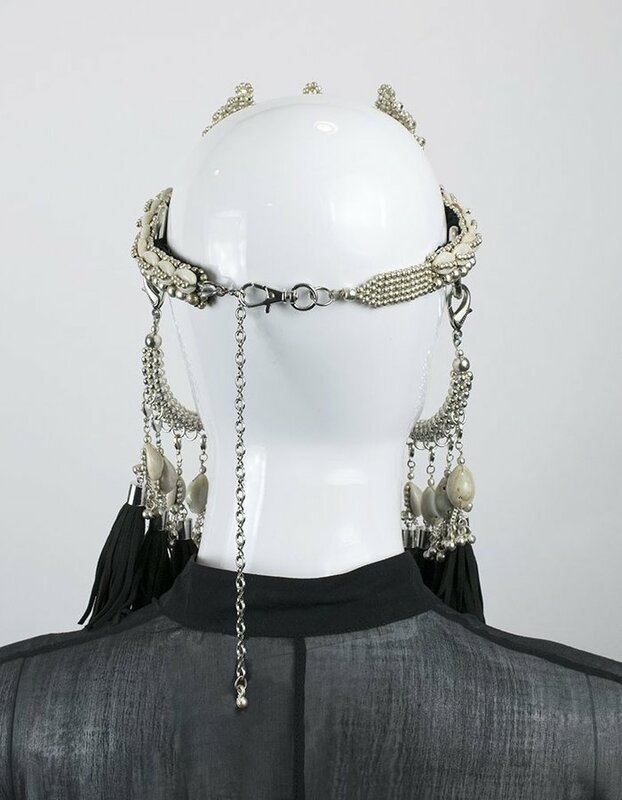 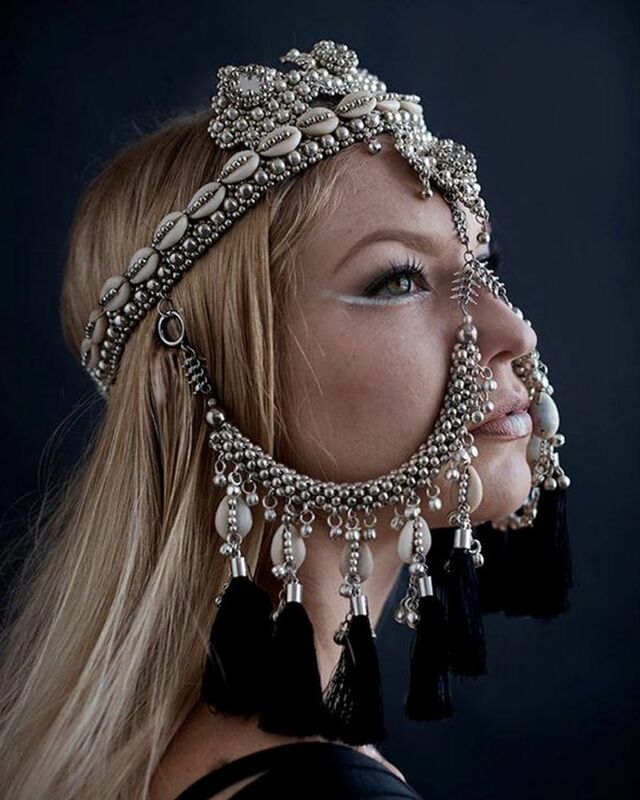 * Combined with detachable face adornments. 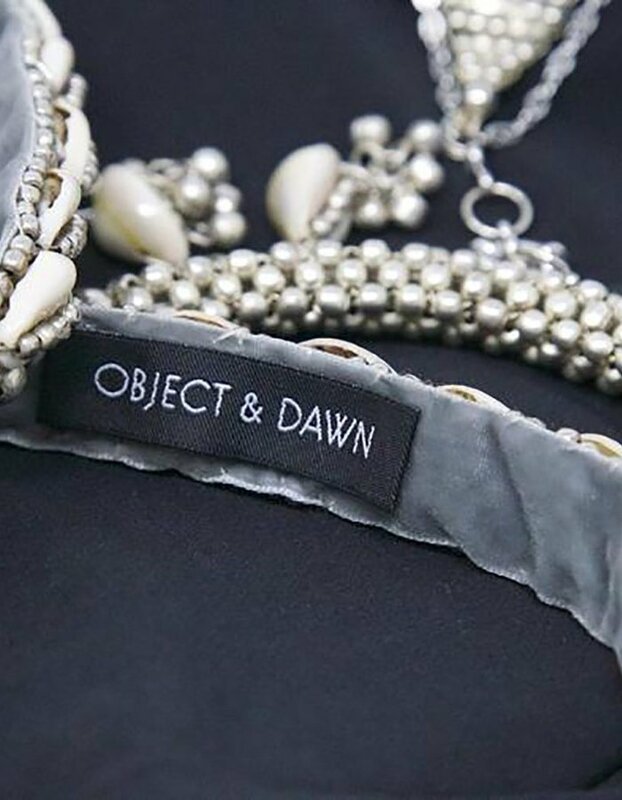 Comfortable and Functional * All pieces easily clasp on and off. 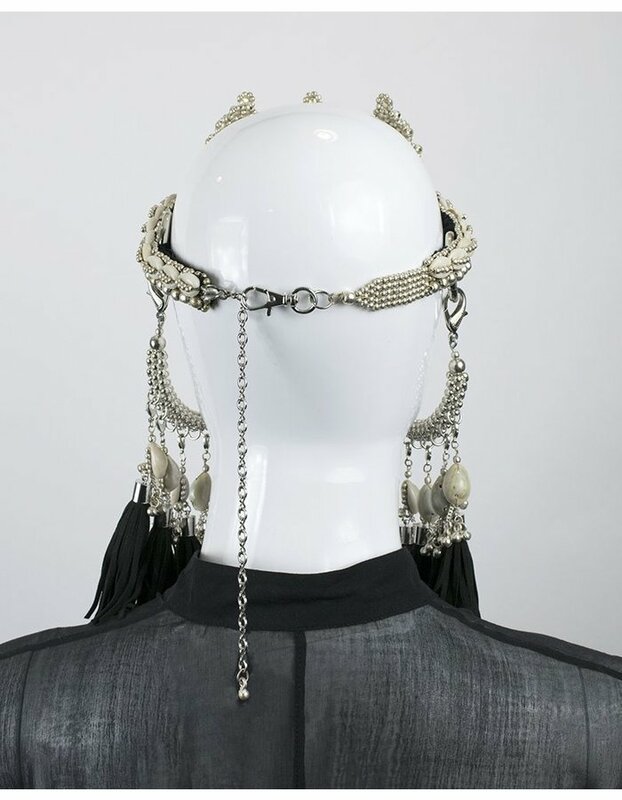 (For example, if you get tired on the dance floor you can remove the tassels and place them in your backpack and voila- lighten the weight immediately!) 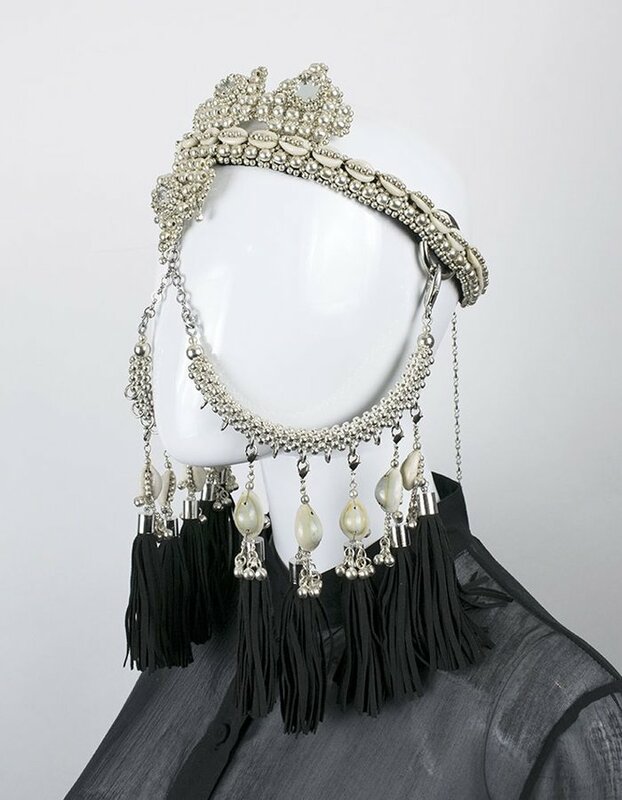 * The crown has an adjustable chain and clasp at center back that ensures a snug fit. * Headband is lined in velvet ensuring comfort for hours.